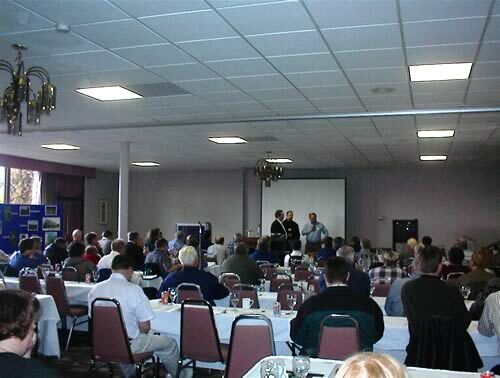 Continuing education at seminar in Spokane, Wa. -Spectrum is a blend of over 25 species of live, beneficial soil microorganisms designed to restore the native microbial population in the soil, which enhances the natural organic processes that occur in nature’s ecosystem evolution. - Spectrum provides greater natural resistance to harmful pathogens and pests by inoculating the plant root zone. Spectrum provides biological disease suppression through antagonism and competition, sequestering trace elements, and the production of natural antibiotics in the soil. - The microorganisms in Spectrum break down and release vital nutrients stored in the mineral particles of the soil, making these nutrients more readily available to the plants. 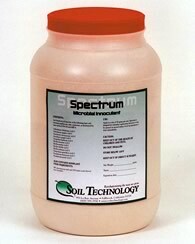 - Spectrum’s soil-borne microorganisms produce beneficial acids and amino acids, which dissolve and make available (chelate) mineral nutrients. -Spectrum assists and speeds nature in the decomposition and recycling of organic matter into an important substance known as humus, which stores required minerals and builds richer, healthier soil. -Spectrum is produced in a dry powdered encysted form for lightweight shipping and long shelf life (several years if stored properly). All microbes are grown in sterile conditions from pure single species cultures, dried through careful scientific methods. -Spectrum is nontoxic to humans, fish, birds and animals, and should be handled in the same manner as all fine powders and nontoxic dusts. Containers of Spectrum should be stored below 120 degrees F. and kept out of direct sunlight.